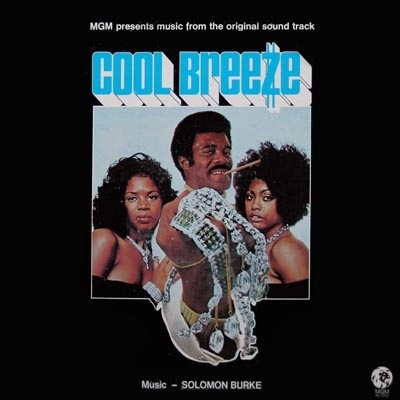 Solomon Burke enlisted the help of Gene Page and Jerry Styner for the purposes of orchestrating and co-ordinating this great soundtrack LP. 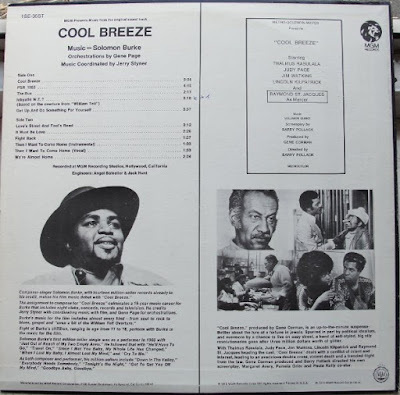 A distinct move away from his soul tracks of the 1960s, the vocal numbers on the 'Cool Breeze' LP are very funky with a slow, early 70s groove. 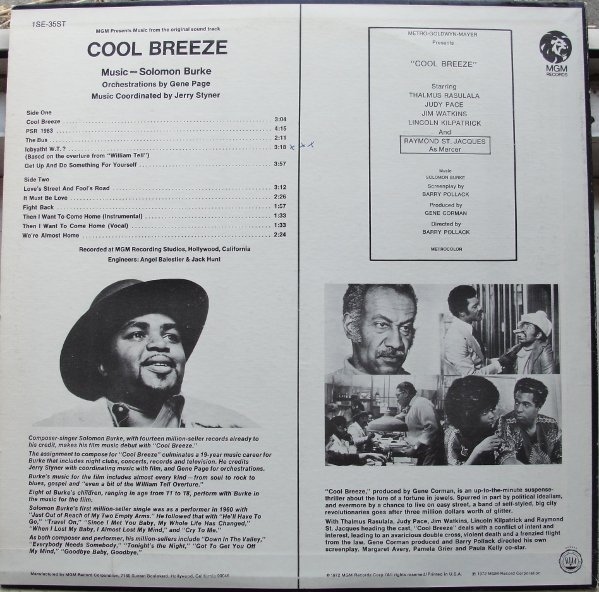 The instrumental tracks come highly recommended, being faster and equally funky. The sound is full, with the core funk band augmented by a brass-heavy orchestra. 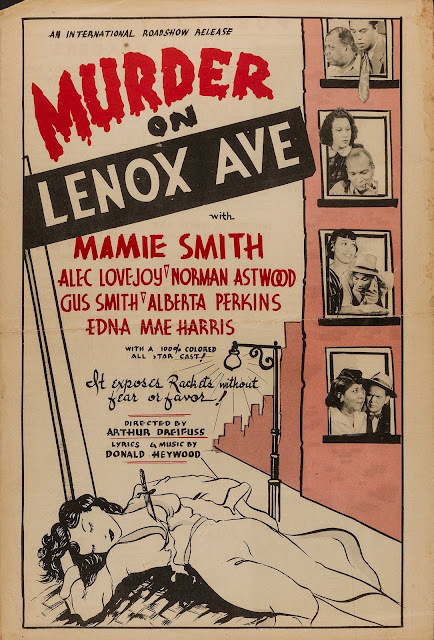 Well worth listening to; the film is entertaining too. This soundtrack and this site are phenomenal! GREAT music. Thanks for bringing all this great stuff to light. Much appreciated. Great album. My favorite is "We're Almost Home."